Hypericum (St John's Wort) Magical Triumph is a red berried variety. 70cm tall & wholesaled in 25 stem wraps. Hypericum is a genus of the Clusiaceae family and is also widely known as St. Johns Wort. 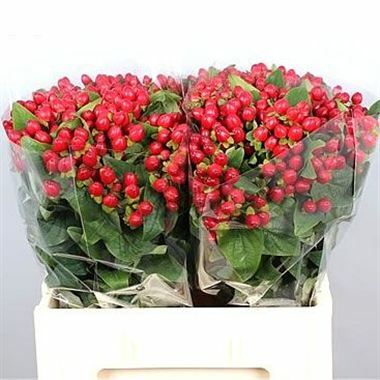 There are 100's of varieties, though they are all known as hypericum. Hypericums properties are widley used in medicine, especially in homeopathy, used for treating depression.